EAST BOSTON (October 17, 2016)– The Kiwanis Club of East Boston will kick off its holiday food drive with a canned food collection effort on Monday, October 24, 2016, from 4-7 p.m. at Shaw’s Supermarket in Liberty Plaza, East Boston. 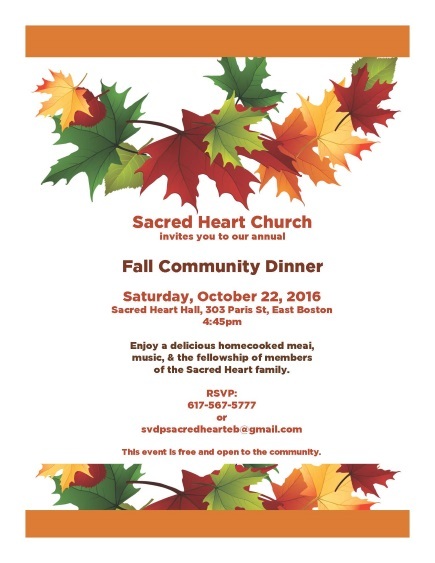 The food drive will benefit the food pantry at the Grace Church Federated and the Meridian House, both in East Boston. Shaw’s customers are asked to purchase canned foods, pastas, and other dried goods and drop them off at the Kiwanis table that will be set up outside the exit doors at Shaw’s. The Kiwanis will also accept monetary donations, which will be given to the food pantry and used to purchase additional food items. All food items and donated funds go to help those in need in the East Boston community. Starting on Monday, the East Boston Savings Bank will also support the Kiwanis holiday food drive by setting up canned food boxes at the three EBSB branches in East Boston – Meridian Street, Central Square and Orient Heights – so that donations can also be dropped off at those locations until Christmas. Those donations will also be given to the Grace Church food bank and the Meridian House. The Kiwanis Club of East Boston is an organization of volunteers dedicated to changing the world one child and one community at a time through community service. Do you ever think about why you or young children often imagine themselves as being "bigger-than-life" heroes? It could very well be the uniforms, the prestige, or the danger associated with becoming a police officer. These are certainly likely explanations, yet, at the same time, they seem to reflect the more superficial elements of the profession. On the other hand, I think that little children imagine themselves to be these 'heroes of the city' because they sense there is something that seems much deeper than these elements, something perhaps intangible, yet very real. Those deeper, real elements are what make your professions so noble and so enduring. They reflect the human qualities demanded of you —day in and day out. Such qualities have been respected and admired for centuries. This great outpouring of self in total surrender for the good of others is reflected in all of you gathered here today. For you exemplify these qualities in your public duties. And this is why, I believe, little children look up to you; it is because beneath the uniform they see in you the awesome responsibilities to protect, to give of your selves in public service, and to comfort the afflicted who you encounter in your work. In similarly blessing your work, God gives you Divine Grace in order that you might bear witness to God's love and mercy through protecting the weak, giving of yourself in service, and comforting the afflicted. You have been given a mission, and although at times it may involve you in facing the broken and sinful sides of humanity, you are, nevertheless, called to protect, to give of yourselves, and to offer care and comfort. To give of yourself for others is central to Jesus' message. The Bible many times underlines this very teaching. Here we listen to Jesus as he tells us the ways in which we can imitate him by the total emptying of ourselves. This great outpouring of self is reflected in those who imitate Jesus in their striving for justice in society, and that is certainly what you are called to do. Justice is more than merely restoring order, it is contributing to something better, to the building up of the kingdom of God here on earth by serving as a protector, as a generous giver of self, and as a comforting presence. As we come together today, we commend you as peacemakers, as ambassadors of justice, and as brothers and sisters in Christ. We ask God to bless all of you who wear the uniform in service to your city and community. I also want to ask a special blessing upon your families today, because it's your spouses, children, and parents who daily pray for your safety while you are at work, and who love and support you at the end of the day when your duty is done. Finally, let us remember all those who have fallen in the line of duty, who never failed in their generous service, even when it meant the giving of their very lives. Let us give thanks to God for the witness they left us, a witness of sacrifice, and a witness to the dignity and honor of their vocation of service. If there's somethin' strange in your library, who ya gonna call? 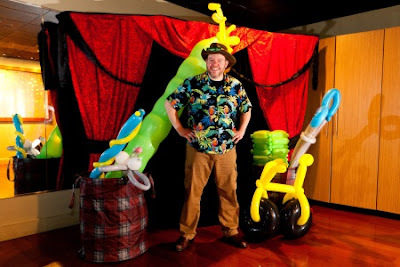 Come join Jungle Jim's Ghostbuster Academy on Saturday, October 22 at 3:00 p.m. at the East Boston Library. Children will help to build a giant proton pack, “wrap” the Mighty Mummy, and battle the Stay Puft Marshmallow Man! Get ready for the big finale as Jungle Jim goes after a 6-foot tall Slimer the Ghost! For ages 3-11. This program is generously funded by The Friends of the East Boston Library. BOSTON – October 14, 2016 – 2016 marks the 400th anniversary of William Shakespeare’s death, and Boston Public Library honors the Bard’s lasting legacy with its Shakespeare Unauthorized exhibition, opening today in the McKim Exhibition Hall at the Central Library in Copley Square. The exhibition is presented in conjunction with the BPL citywide initiative All the City’s a Stage: A Season of Shakespeare at the Boston Public Library, connecting audiences to theater and the dramatic arts with programs throughout the library system. Boston Public Library holds one of the largest and most comprehensive publicly-held collections of Shakespeare, including the first four folios of his collected works, 45 early quarto editions of individual plays, and thousands of volumes of early source material, commentaries, translations, manuscripts, and more. Visit www.bpl.org/shakespeare to view the complete offerings of the initiative. “At some point in life, everyone has experienced the work of Shakespeare," said Mayor Martin J. Walsh. "These opportunities at the Boston Public Library give all the chance to learn more about the creative genius of Shakespeare and how his legacy lives on today." 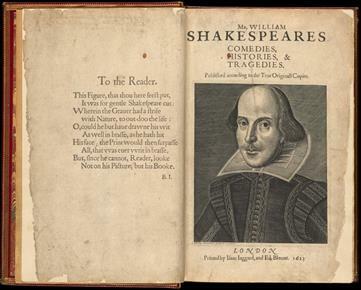 Shakespeare Unauthorized, a major gallery exhibition on view from October 14, 2016 through March 31, 2017, includes extraordinarily rare first and early editions of familiar and beloved plays like A Midsummer Night’s Dream, Hamlet, and The Merchant of Venice, as well as all four Shakespearean folios, most notably the BPL’s own copy of the world-famous First Folio. Through the pages of these precious books, visitors can experience Shakespeare in his original language and spelling, just as he would have been read by book lovers and theater-goers hundreds of years ago. Shakespeare Unauthorized is made possible through the financial support of Iron Mountain Incorporated (NYSE: IRM), the global leader in storage and information management services. Based in Boston, Iron Mountain provides charitable grants of funding and in-kind services to cultural and historical preservation projects like Shakespeare Unauthorized through its Living Legacy Initiative. Shakespeare Unauthorized contains far more than just books of plays: this exhibition features surprising rarities and mysterious objects; scandalous forgeries made by con men and accomplished scholars; books from the luxurious private libraries of early English aristocrats; and memorabilia from four centuries of acting and stagecraft. C&G Partners created the engaging exhibition design that showcases the extraordinary historic material on display in Shakespeare Unauthorized. The Norman B. Leventhal Map Center at the Boston Public Library, an independent, non-profit institution, features a complementary exhibition, Shakespeare’s Here and Everywhere, which opened on September 3 and runs through February 2017, with associated programming offered. William Shakespeare’s comedies, tragedies, and histories take place in a number of fascinating and often picturesque locations throughout Europe, Asia and Africa, in eras from classical times to the Renaissance. In this exhibition of forty maps, images and three-dimensional objects, visitors view these locales by seeing items from Shakespeare’s lifetime, learning about the world in the time of Shakespeare, and understanding the symbolic role that geography held to the dramas. Kronborg Castle in Denmark, known as Elsinore in Hamlet, is highlighted in the exhibition. A 1629 Dutch map depicting the Danish Kingdom, along with a vignette illustrating “Elsenor,” is on display. Complementing this map is an original print of “Cronenburg” from Samuel von Pufendorf’s 1696 historical atlas. Geographically-significant quotes from the dramas set the stage for the visitors, such as Marcellus’ line from Hamlet, “Something is rotten in the state of Denmark” (Act 1, scene 4). 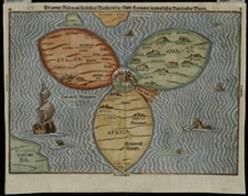 Visitors also see Heinrich Bünting’s famous “Clover leaf map” from 1581 and Abraham Ortelius’ 1570 edition of Theatrum Orbis Terrarum. “This is an opportunity for visitors to appreciate Shakespeare in a whole new way, through viewing the cartographic treasures from the collections of the Boston Public Library and our founder Norman B. Leventhal,” said Connie Chin, President of the Norman B. Leventhal Map Center. Iron Mountain Incorporated® (NYSE: IRM) is the global leader for storage and information management services. Trusted by more than 220,000 organizations around the world, Iron Mountain’s real estate network comprises more than 85 million square feet across more than 1,400 facilities in 45 countries dedicated to protecting and preserving what matters most for its customers. Iron Mountain’s solutions portfolio includes records management, data management, document management, data centers, art storage and logistics, and secure shredding, helping organizations to lower storage costs, comply with regulations, recover from disaster, and better use their information. Founded in 1951, Iron Mountain stores and protects billions of information assets, including critical business documents, electronic information, medical data and cultural and historical artifacts. Visit www.ironmountain.com for more information. The Norman B. Leventhal Map Center is ranked among the top map centers in the United States for the size of its collection, the significance of its historic (pre-1900) material, and its advanced digitization program. It is unique among the major collections because it also combines these features with exceptional educational and teacher training programs to advance geographic literacy among students in grades K-12 and enhance the teaching of subjects from history to mathematics to language arts. The collection is also the second largest in the country located in a public library, ensuring unlimited access to these invaluable resources for scholars, educators, and the general public. The Leventhal Map Center, created in 2004, is a nonprofit organization established as a public-private partnership between the Boston Public Library and philanthropist Norman Leventhal. Its mission is to use the Boston Public Library’s permanent collection of 200,000 maps and 5,000 atlases and a select group of rare maps collected by Mr. Leventhal for the enjoyment and education of all through exhibitions, educational programs, and a website that includes thousands of digitized maps at maps.bpl.org. The map collection is global in scope, dating from the 15th century to the present, with particular strengths in maps and atlases of the American Revolution, New England, Boston, Massachusetts, world urban centers, and nautical charts. The Massachusetts Department of Transportation (MassDOT) will begin All Electronic Tolling (AET) in the Sumner Tunnel effective October 28, 2016. In preparation for the transition MassDOT will host a public meeting in East Boston to provide information about the proposed design of the tunnel entrance and toll booth elimination which will begin at a later date. This meeting will ensure that users of the Sumner Tunnel and neighboring communities are fully informed about the project and design and construction process to minimize any public inconvenience. Public comments and questions may also be submitted by email AETinfo@dot.state.ma.us. Locations are accessible to people with disabilities. MassDOT provides reasonable accommodations and/or language assistance free of charge upon request (including but not limited to interpreters in American Sign Language and languages other than English, open or closed captioning for videos, assistive listening devices and alternate material formats, such as audio tapes, Braille and large print) as available. For accommodation or language assistance, please contact Jim Kersten by phone (857) 368-9041 or by email (james.a.kersten@state.ma.us). Requests should be made as soon as possible prior to the meeting. For more difficult to arrange services including sign language, CART or language translation or interpretation, requests should be made at least ten (10) business days before the meeting.